Oranges, lemons and limes. These are citrus fruits we associate with being cleansing, invigorating and refreshing. Grapefruits are part of the citrus family too, and this versatile fruit is something you may want to put at the top of your grocery list. The grapefruit is believed to have originated in Jamaica in 1814. This fruit got its name because it grows on the tree in grape-like clusters. In Jamaica, grapefruit was often referred to as the “forbidden fruit,” but this does not mean you should not eat it. You can eat grapefruits year-round, but the best season to eat them is winter through early spring. I know it’s summer, but you can still find delicious grapefruits in the produce section. Be on the lookout for grapefruits that are firm but still have a bit of spring when you apply pressure. 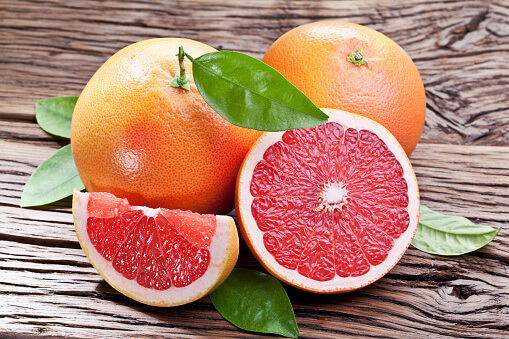 Grapefruits come in white, pink and red varieties. They are all delicious and may deliver some great health benefits. Grapefruits may quench your thirst. One grapefruit is about 88 percent water. We all know drinking enough water is key in preventing dehydration, especially during summer months and intense workouts. But let’s face it, drinking plain old water can get boring. Grapefruit may be a great and delicious way to increase your daily water intake. It’s especially important to hydrate your body when you first wake up, because you naturally wake up dehydrated after sleeping for several hours. If you are otherwise healthy, you may want to consider grapefruit for breakfast to hydrate first thing in the morning. If your kids play sports, send them off with grapefruit to keep them hydrated and energized. I personally like to take grapefruit juice to the golf course. Grapefruits may help prevent kidney stones. Water is a natural diuretic, which means it removes waste due to increased urine production. According to Harvard Health, your water intake is key in helping prevent kidney stones. “Drinking extra water dilutes the substances in urine that lead to stones. Strive to drink enough fluids to pass 2 liters of urine a day, which is roughly eight standard 8-ounce cups,” reports Harvard. You may attain part of your daily water requirement by eating grapefruit. Grapefruits may help better manage weight & diabetes. A study, published in 2014, compared mice that consumed grapefruit juice and mice that did not. The mice that consumed the juice lost 18 percent more weight and had a 13-17 percent drop in glucose levels. Their insulin levels also significantly decreased. We are unable to locate credible studies using humans as subjects when it comes to weight loss, however. Grapefruits may boost your immunity. One cup of grapefruit (both pink and red) contains 79.1 mg of vitamin C. According to the American Institute for Cancer Research, “[o]ne-half of a medium grapefruit - red, pink and white - provides at least half of most adults’ daily vitamin C needs.” During these summer months, many of us are constantly traveling and in airplanes, which are breeding grounds for germs. Getting enough vitamin C may help ward off infections and help prevent vacation spoilers like the common cold. 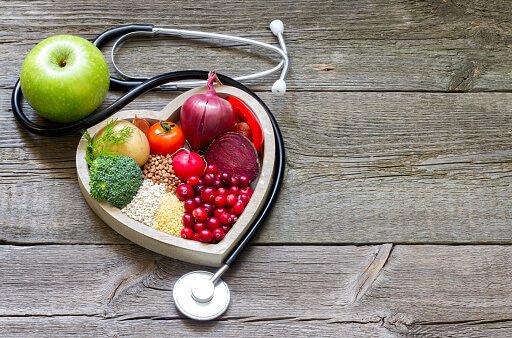 Simply having low levels of vitamin C has also been associated with high blood pressure, gallbladder disease, stroke, some cancers and atherosclerosis (buildup of plaque in the blood vessels that can cause heart attack and stroke). Grapefruits may help with cognitive function later in life. Grapefruits are rich in a macronutrient called choline. One cup of grapefruit contains 17.7 mg of choline. According to Oregon State University, [a]nimal studies have shown that choline is essential for optimal brain development and influences cognitive function in later life.” Choline is also important for liver function, normal brain development, liver function, nerve function and muscle movement. Magnesium, 18 mg. This mineral helps regulate blood pressure, contributes to bone metabolism and has antioxidant functions. Magnesium is also great for pain management. 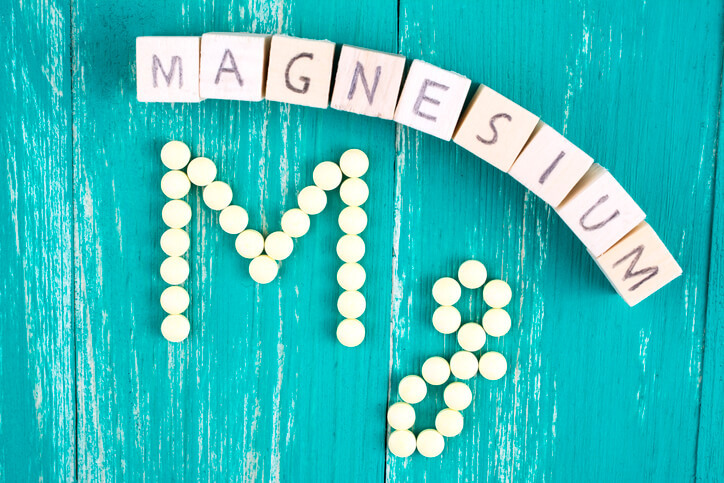 Many people use magnesium as a safe alternative to ibuprofen or acetaminophen. Magnesium may even help alleviate leg cramps women may experience during pregnancy. Phosphorus, 18 mg. This mineral often does not get the credit it deserves, but it does so much for your body. Phosphorus is almost as abundant in your body as calcium and helps calcium build strong bones and teeth. Phosphorus is also important for how your body stores and uses energy, repairs cells and is needed to make proteins like the one responsible for the oxygen-carrying capabilities of our red blood cells. This mineral has also been linked to weight management. In a study of almost 40,000 women in Korea, phosphorus deficiency correlated with weight gain from oral contraceptives. Furthermore, a study from Lebanon showed that phosphorus supplements in a small group (63 people) for 12 weeks significantly decreased body weight, BMI, waist circumference and subjective appetite scores. Folate, 23 mcg. Most adults need about 400 mcg of folate daily. If you are pregnant, you may need more. Folate is essential for cell growth and many other bodily functions. To see how much folate you need, click here. Vitamin A, 106 mcg. This vitamin is an antioxidant that supports the immune system and is good for skin and eye health. Vitamin A also promotes cell growth. I love grapefruits! And some are sweeter than others. If you can’t handle the tart taste of some grapefruits, check out these healthy grapefruit recipes. My favorite is the grapefruit and avocado salad. If you take medications, talk to your doctor before you start incorporating grapefruit into your diet. Sometimes grapefruit can react with certain medications. We are so lucky to have all these healthy food options. 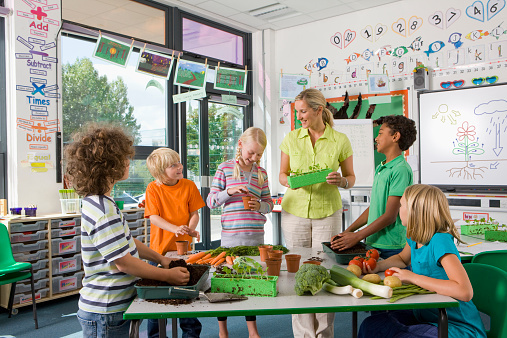 Knowing what nutrients our foods have is one way we can be proactive about our health. And there are so many ways we can incorporate these foods into our daily diet - from throwing them into a smoothie or making a salad anyone would look forward to eating.